For those unfamiliar, Homestuck is a comedy webcomic by Andrew Hussie that riffs on point-and-click adventure games centered on John Egbert, Rose Lalonde, Dave Strider, and Jade Harley. It’s expanded and deepened as the series has run on, and it’s even introduced elements of science fiction and fantasy. This will primarily be a review of the product as opposed to the content. Homestuck is available online to read for free, and, to just recommend the comic would be to me telling you to go online and read it. If you’re going to buy something like this, you should be a fan of Homestuck regardless. I’ll be telling you if you should buy it even if you’re a fan of Homestuck. Plus, I find myself not being a big fan of Homestuck as a comic. In any case, this book is a high-quality collection. The hardcover format, of course, makes it high quality. The page texture is smooth and pleasing to hold. 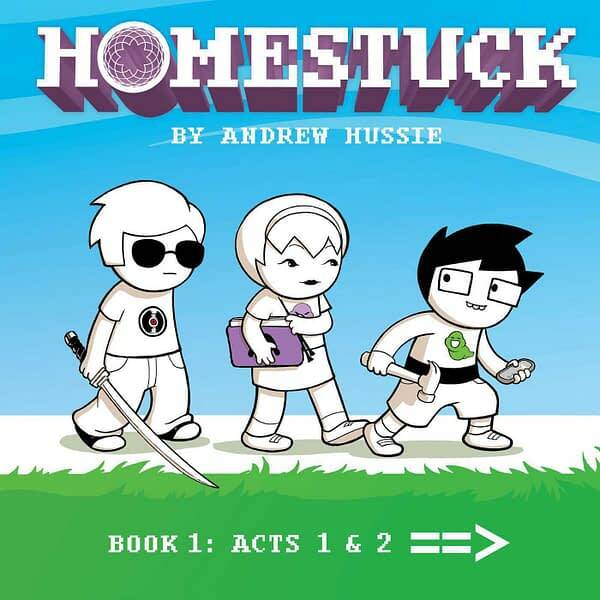 In terms of additional content to the comic, there is an introduction by creator Hussie where he lays out his “Fact Zone.” The funny thing about this foreword is that it primarily serves as apologetics for the differences between the printed form of Homestuck versus the online version. He talks about the input commands in the online version and how the panels are often animated online. This is an odd way to start off your collection, as it is almost telling your reader that this was a waste of money. What is more worthwhile about the collection is the facts at the bottom of each comic. It’s like a director’s commentary on a DVD, and it gives some fun information for the Homestuck devotee. 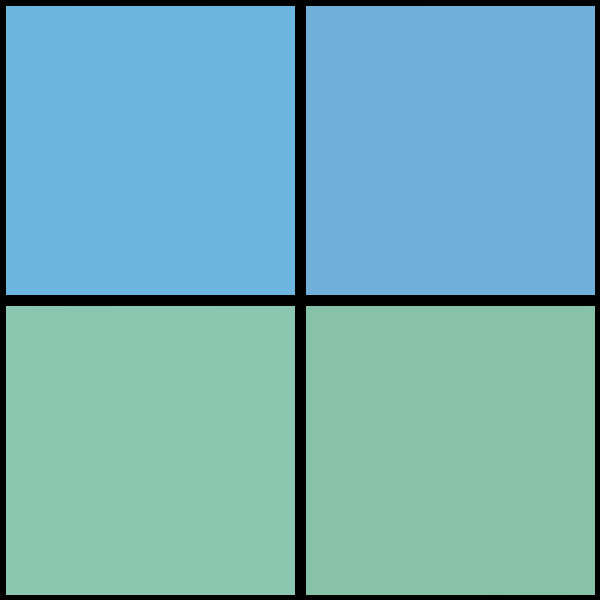 Many are interesting, funny, and add an extra layer to the comic. So, I can recommend the Homestuck Book One hardcover collection. The introduction is odd, but the addition of bottom-page commentary is a great add-on for a fan of the comic. Given the breadth of content, the price is fairly reasonable too. Plus, having a hardcopy of a webcomic one likes is an enticing idea. Even if I’m not a fan of any webcomic myself, I can understand that sentiment.